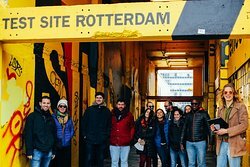 Cool food tour of Rotterdam! Ruud was awesome! I really enjoyed getting a sampling of Rotterdam. I only wish I had more time to spend here. Now I know to stay here next time I’m in the NL. Thanks for a great tour!! 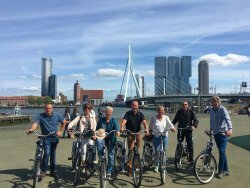 We had a fantastic bike tour throughout the city of Rotterdam with our very nice guide, Ruud. Although I have been to Rotterdam a few times before, I still got surprised by fun facts about Rotterdam's highlights that I didn't know yet. Like I was rediscovering the city. During our ride we also got to enjoy a lot of good food in original food places. The bikes were very comfortable and well maintained. 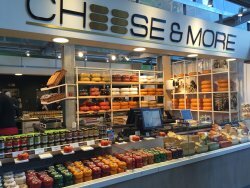 All in all a great way to discover cultural and culinary Rotterdam! 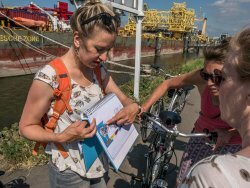 Last weekend our Company explored Rotterdam by bike with "Bike and Bite". We were 44 persons, in three groups, each group with a guide. I highly recommand this trip, it was an easy get-around in the city, fun and interesting spots on our way through the city! Do you want to discover Rotterdam in a fun and relaxed way that also gives you something of the history and high lights of the city? Then you most definitely have to book a bike tour with the lovely Laura. She knows her way to the best places to eat and drink as well where we also made several stops. She takes time for every question you might have and her hospitality and humour is great. Not unimportant the bikes are from a very good quality! 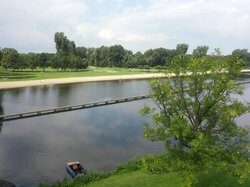 Great tour (07-06-18) to the secret hot spots of Rotterdam. I thought i knew Rotterdam quite well, but i was greatly surprised. We enjoyed it very much the whole time. Laura is a great guide and the bites and drinks were delicious. We booked the bike & bite tour two weeks in advance for Sunday May 27, 11 am. We were looking forward to it because of the program and the good reviews. Friday May 25, we received an email, 'it is almost time for your tour, your tour will take place on Sunday 27'!'. On Saturday May 26, we received a cancellation, there were not the requested minimum of 4 persons. We tried to book another tour but all were fully booked. So no tour for us. On Sunday 27, we received another mail, did we enjoy the tour? and could we please review the tour on Tripadvisor. Sure! We sincerely regret that you have had such a negative experience with us, especially as we pride ourselves on our customer satisfaction. We are in the process of upgrading our booking system and website, but obviously our notification system did not work properly for you. We have made the necessary adjustments to assure that it won't happen again in the future. After reading your review we have also changed our policy for notification if we have not met the required numbers. From now on we will let our guests know one week in advance that we have less than four participants in the group. They will then have the option to wait for last minute bookings, reschedule or get a full refund. You have just received an email with a voucher code for a free tour for two, which you can use at any time when you next visit Rotterdam. We really hope we can get another shot at showing you around our beautiful city!